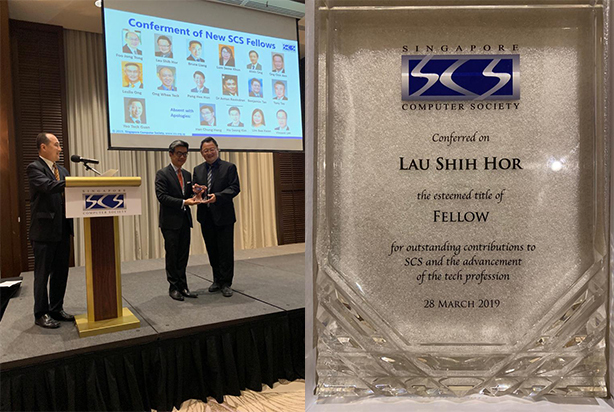 Elixir Technology’s CEO Mr Lau Shih Hor has just been conferred SCS Fellowship by the Singapore Computer Society (SCS) at its 52nd Annual General Meeting held at Swissotel Merchant Court Hotel on 28 March 2019. Established in 1967, the SCS is Singapore’s largest infocomm professional body with over 30,000 members. The SCS Fellowship is an honour bestowed on individuals who have achieved positions of eminence through significant contributions to the IT industry in Singapore.